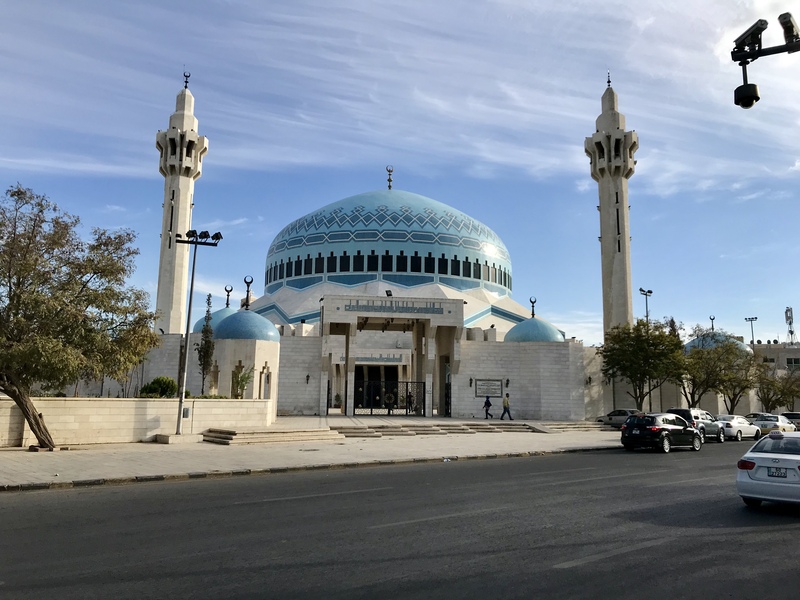 Amman is a city comprised of large rolling hills cut by valleys. 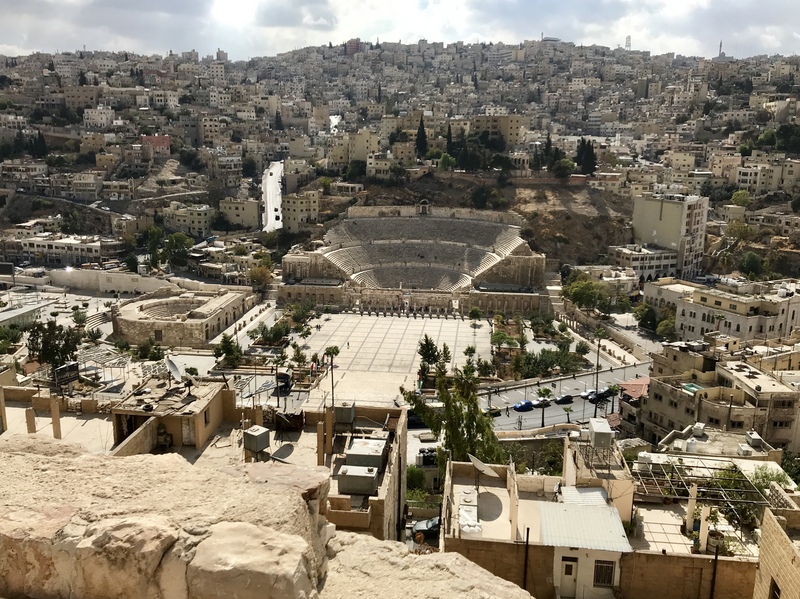 In downtown Amman the citadel stands high on one of these hills providing the first view of both the city sprawl and the well preserved Roman theatres seemingly close enough to touch at the base of the valley before you. 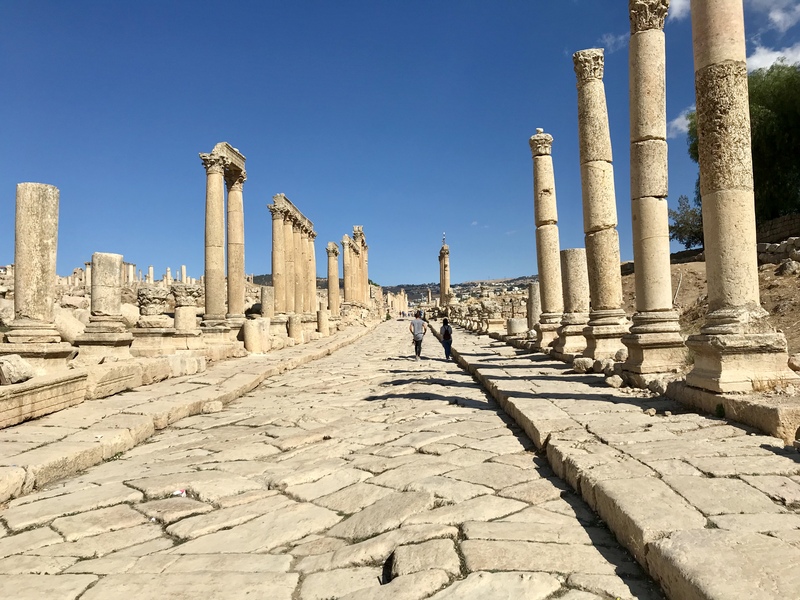 Like with most of these ancient settlements they are the result of cyclical construction, re-use and expansion by first Persians and then the Hellenistic, Romans, Byzantines and then finally the Umayyad over 2000 years. 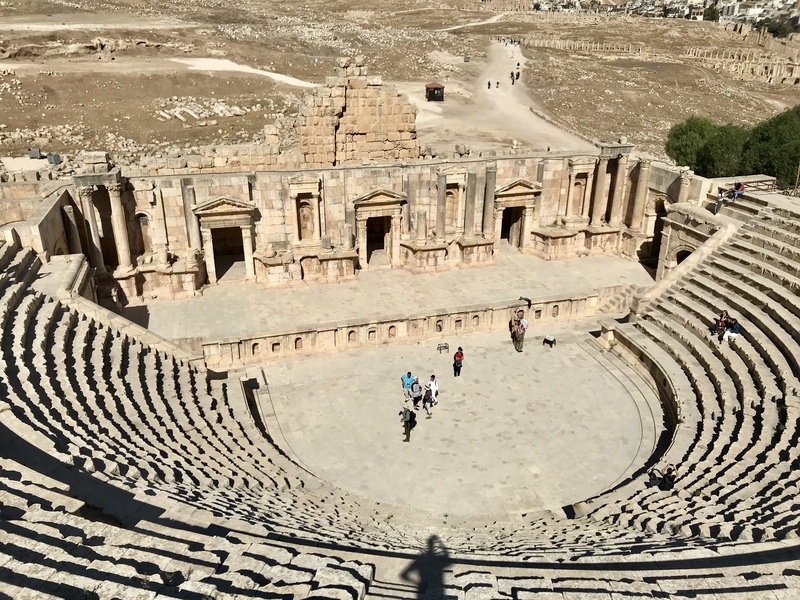 However, most of these structures were destroyed in the historic 749 AD earthquake that also left these places mostly abandoned until the 20th century. 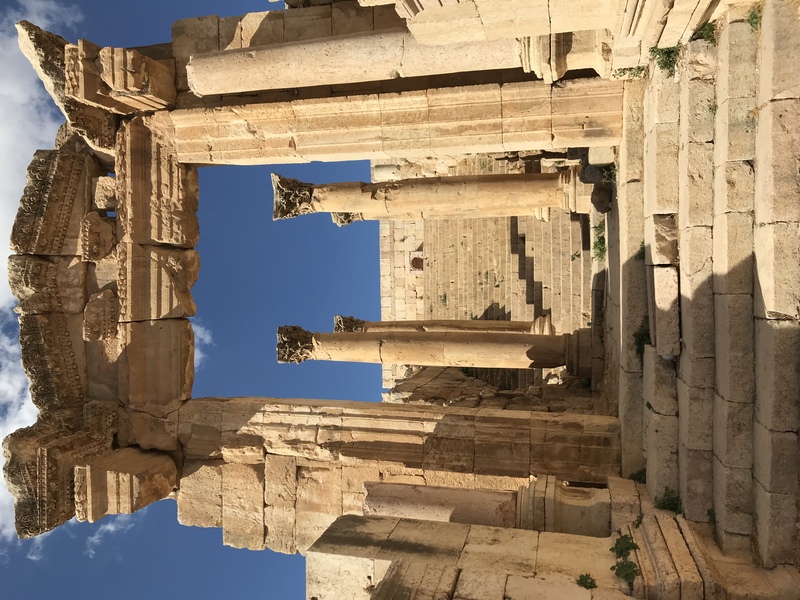 As a result, a few remaining Roman columns coexist with Byzantine churches later converted into Mosques and even a cave used as far back as the Bronze Age. 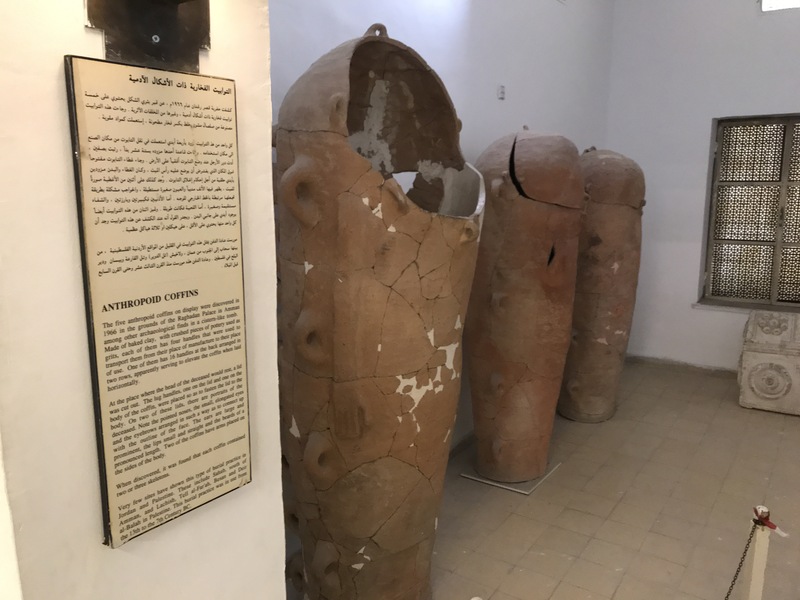 The museum is a small building but showcases an expansive collection of pottery, oil lamps, glass blown containers and more (also with placards). These artifacts are each sectioned into their own time period to help tell the story of the area. I found most fascinating the three sarcoidosis-like coffins unearthed here. 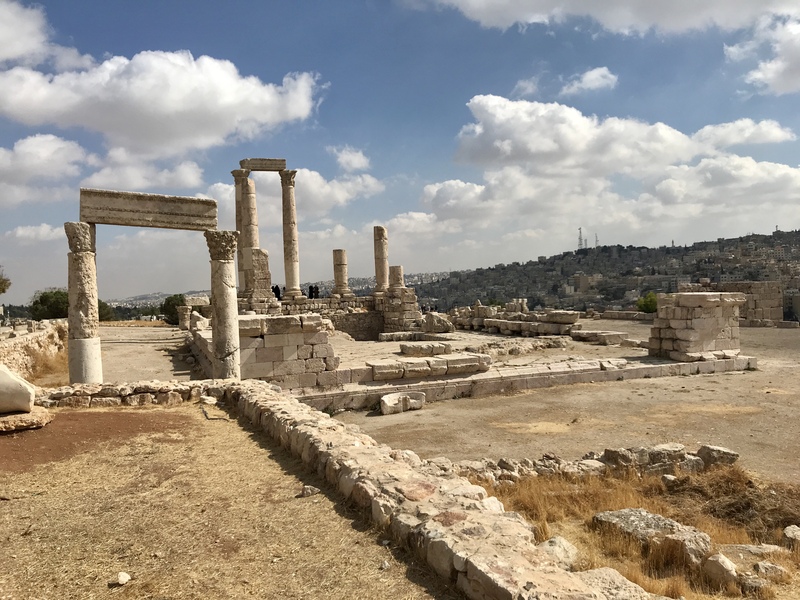 If you have some free time, it is extremely worth the walk for a view of Amman and an orientation to Jordan’s history. 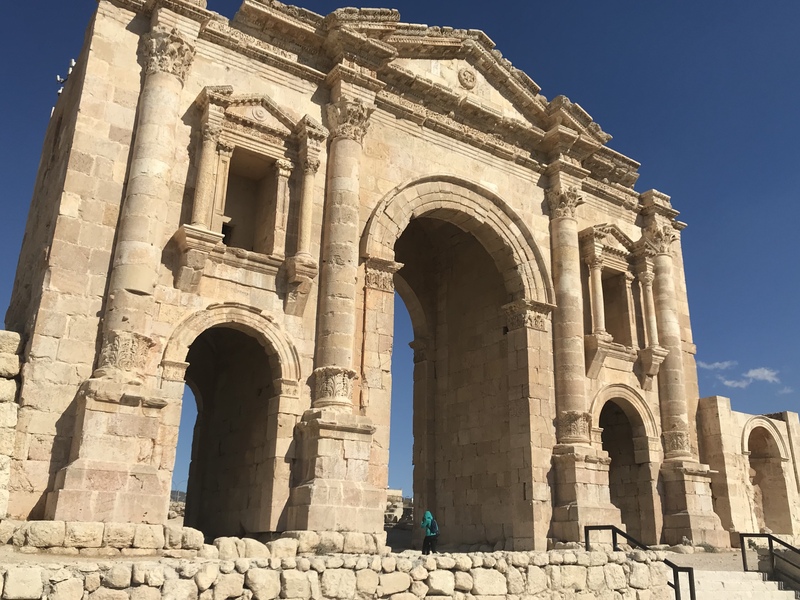 Jarash is the second most visited ruins in Jordan, just a 45 min (1.5 JD) bus ride from the North Station. It seemed popular so I wasn’t sure what to expect, but was blown away by the scale, diversity and depth of restoration. The ruins are surrounded by the small, modern city of Jarash. After escaping from the merchant craft building at the entrance, the imposing 40 ft tall South Gate greets you before meandering down a stone street to enter the Hippodrome. The Hippodrome is both the smallest and the most preserved in all of Rome. 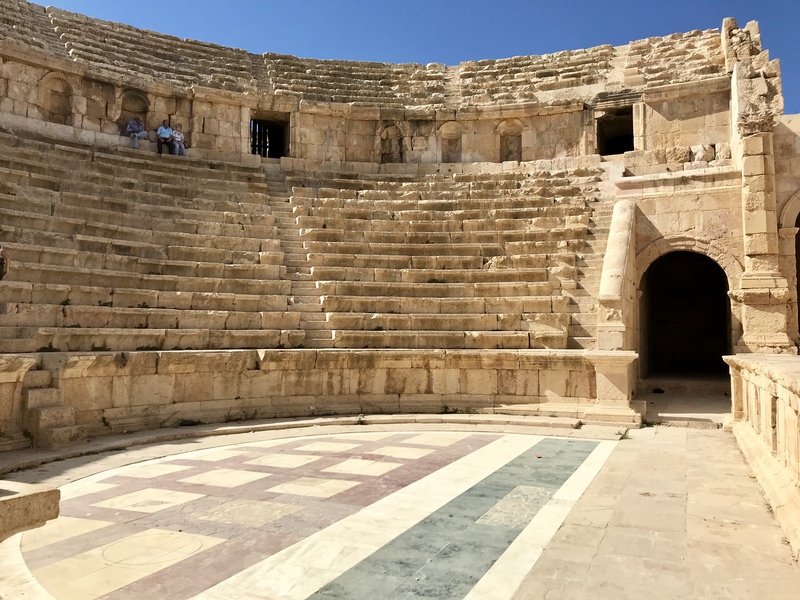 It was a joy to sit on the long bleachers and imagine chariots launching across the dirt amidst a fervor of excitement from an ancient audience. Surprisingly, this is still outside the protected site. After a short walk past the visitor center and the ticketing booth, the massiveness of the true city is established through another large stone gate. 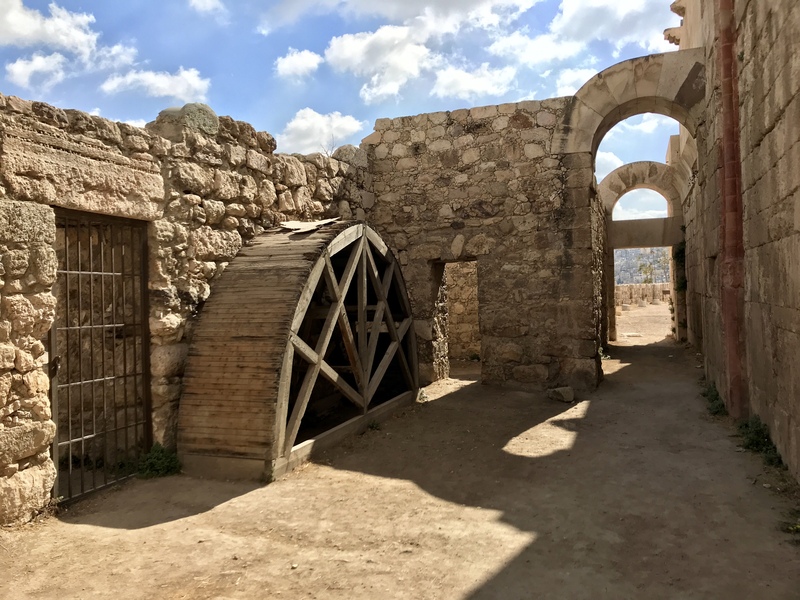 The gate brings you into a 150 ft diameter, circular plaza, exiting to a long and wide Main Street extending a nearly one km towards the North Gate. Large, square limestone blocks the size of a torso lay side by side to comprise a road where metal chariot wheel grooves can still be discovered. Along the perimeter of the plaza and either side of this street, 15 foot stone columns constructed of three white, limestone sections and topped with an adornment are spaced every few feet. These consistent column features provide the necessary scale and depth to understand the beautiful size of this city as they shrink into the distance. Far from level, many of the pavement blocks orient at various heights and angles from the street. A result of the great 749 AD earthquake that also decimated and abandoned this city. Over the course of two hours a dozen tactfully restored buildings can be explored. 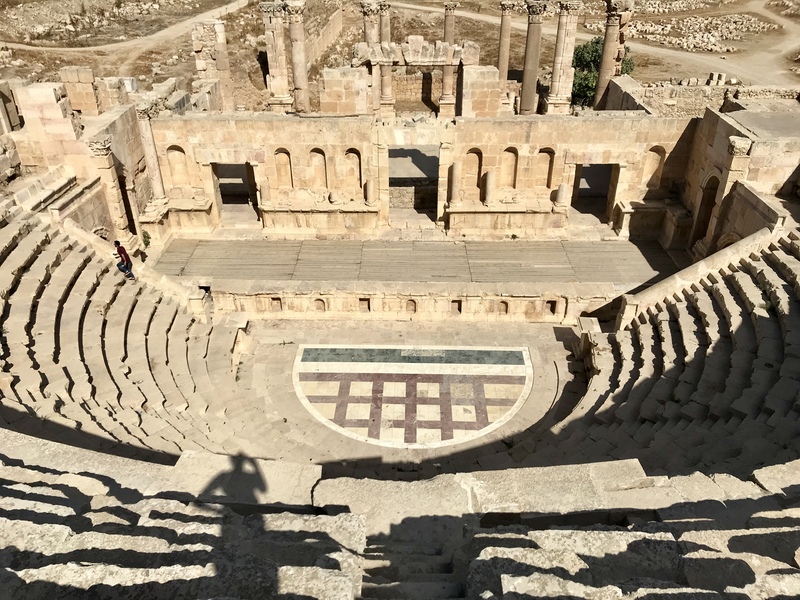 This includes a fountain and bath area, multiple churches, a Roman theatre with a mosaic floor, a temple for Zeus and a larger Roman theatre where Jordians were playing Scottish Bagpipes for tips? Unclear originally of how much of a tourist trap this would be, I found the site incredibly interesting and fulfilling to sit and walk among the ancient city. Just as the citadel there are many placards in Arabic and English explaining the buildings and multilingual guides for hire. The return via mini bus was a little more interesting as it doesn’t return to the North Bus Station but somewhere else a little further from the city center. Saying I wanted to get to Abadali was enough however to get me on the correct second minibus close enough to walk back to my destination. Thanks to two friendly bus drivers who hailed the right one for me even though they spoke mostly Arabic. 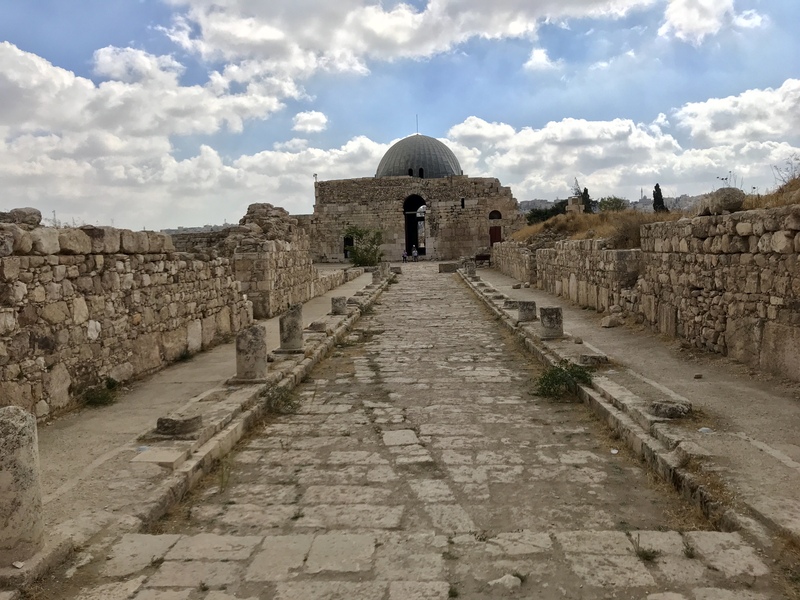 Coming from the US I think a lot of people have hesitations about visiting the Middle East given the polarization of that area from the media. However, even before this trip I’ve learned that the Middle Eastern culture is one of friendly hospitality. It’s only respectful to make an effort to adopt local customs. Who wants to stick out as a tourist? 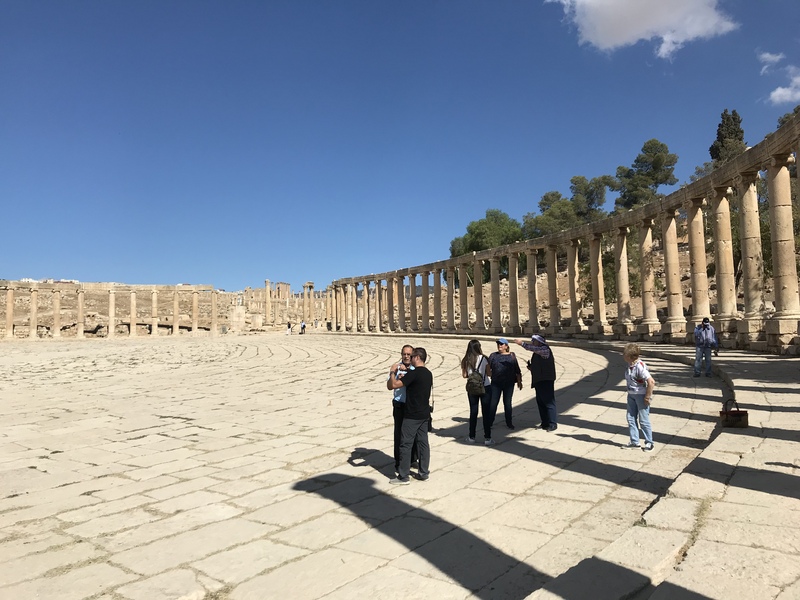 Jordan is a progressive place and tourists seem to get a pass regardless. There is no cultural police like the dramatizations of Saudi law. Yet most women cover themselves to their wrists and ankles as well as their hair. Some people choose to wear full hijabs but mostly women are in colorful, fashionable outfits. It makes them look quite composed and pretty. The men also seem to wear long sleeves and pants most often. 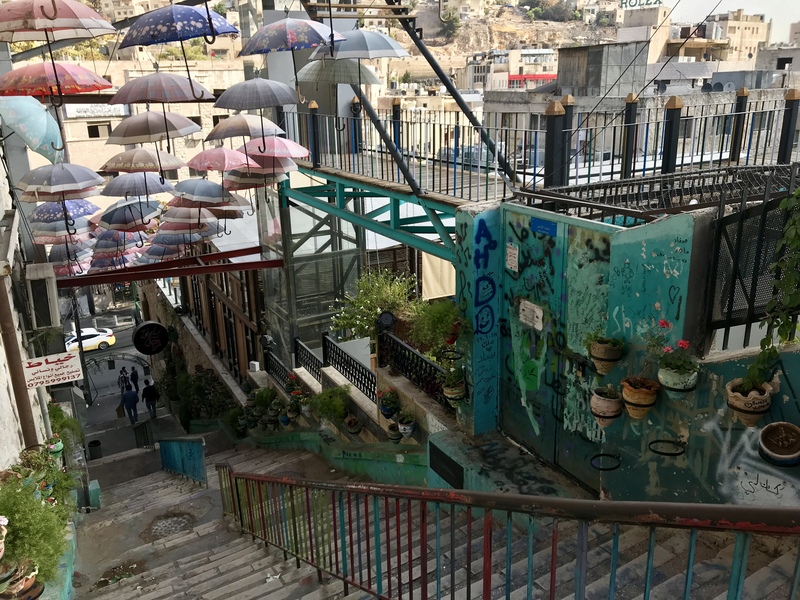 I walked Amman for hours, around 14 miles and the entire time I felt completely safe. Much more safe than walking in Union Square of San Francisco at night. Most people speak some English and it was way easier to communicate and get around compared to many places in South America where little English is known. Finally, the Falafel and hummus here was amazing. 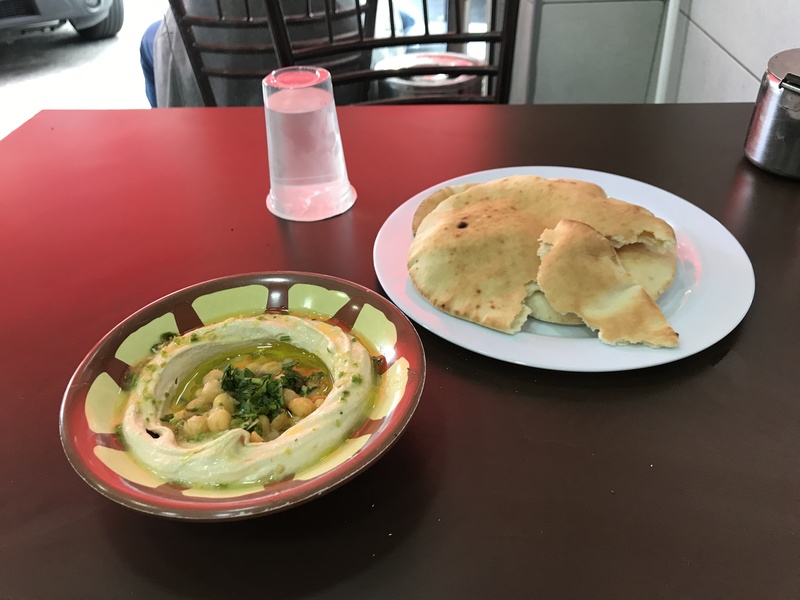 My best experience is of walking randomly around and stopping at a busy hummus shop where the person added five things together and ground the chickpeas in front of me. Go Jordan!